Preheat oven to 425 degrees. 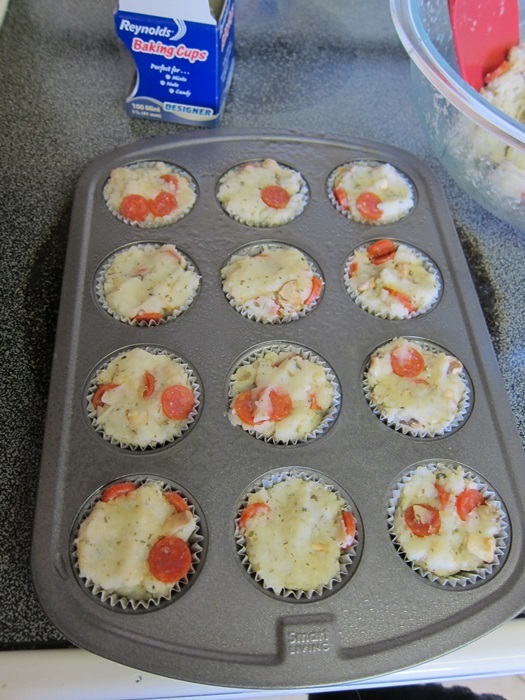 Line a mini muffin pan, ideally with silicone liners, or foil liners with the paper cups removed. I couldn’t find either option, and used regular paper ones, which stuck some – not ideal, but not a huge disaster. Just use silicone/foil if you can. Spray whatever kind of liner you do find with cooking spray, then set aside. 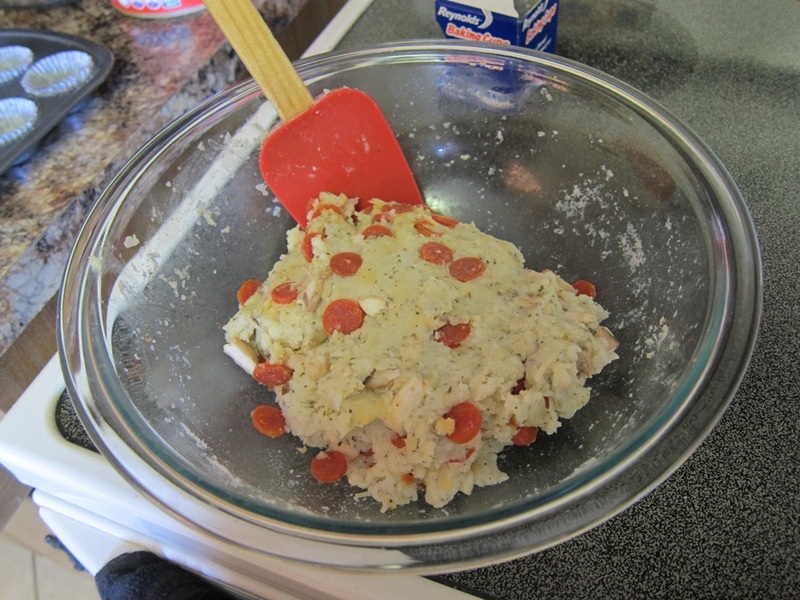 Combine all the ingredients, except the pepperoni and pizza sauce, in a large bowl and stir until well mixed. Microwave for 1 minute, then stir in the pepperoni. Scoop the mixture, spreading it evenly between the twelve cups and pressing down to compact the mixture in each. Bake 20-22 minutes, until golden brown. Let sit until cool, then remove from the liners. Serve warmed, with pizza sauce to dip in. A few seconds back in the microwave is all it takes to have a warm tasty pizza lunch! 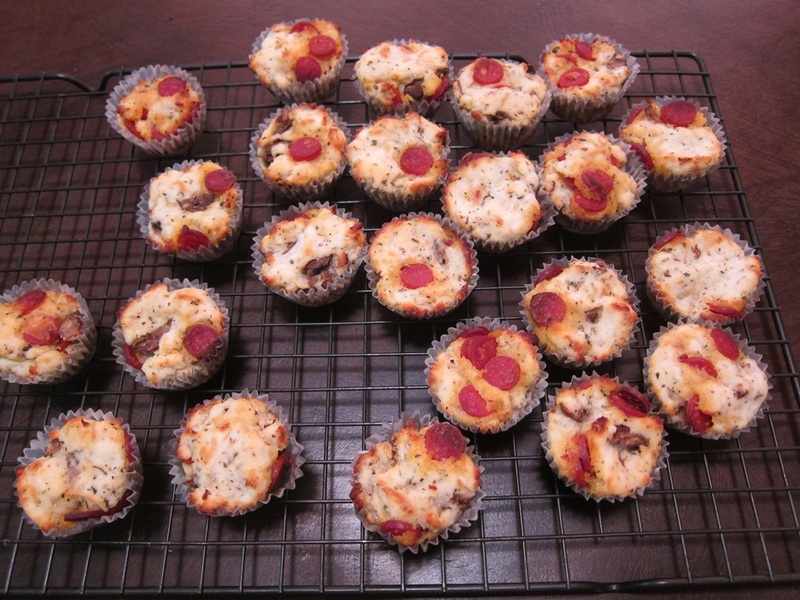 I really liked the flavor of this, and could easily snack on far, far too many of them! Preheat oven to 425 degrees. 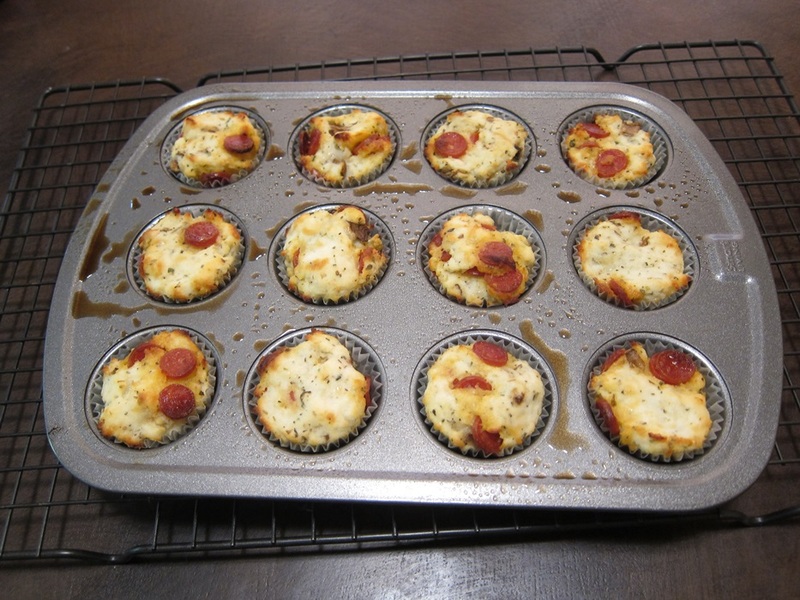 Line a mini muffin pan, ideally with silicone liners, or foil liners with the paper cups removed. Spray with cooking spray, then set aside. 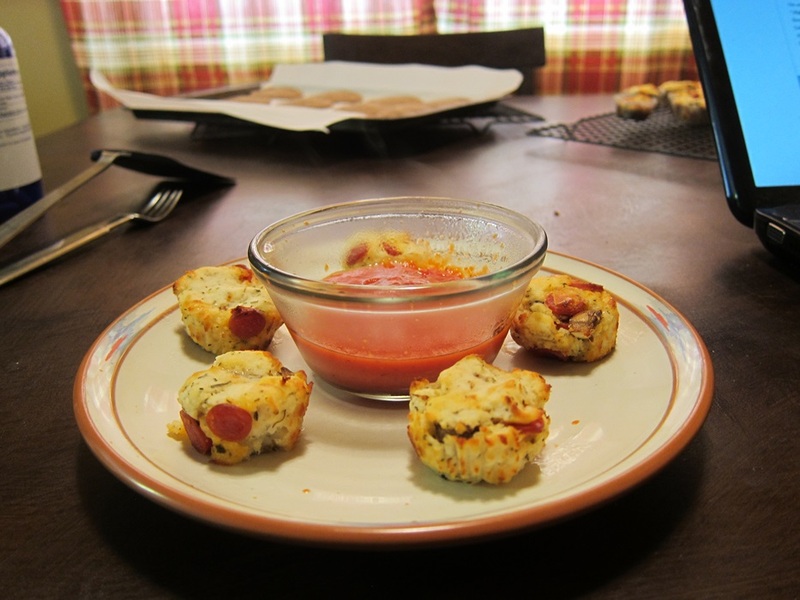 Combine all the ingredients, except the pepperoni and pizza sauce, in a large bowl and stir until well mixed. Microwave for 1 minute, then stir in the pepperoni. 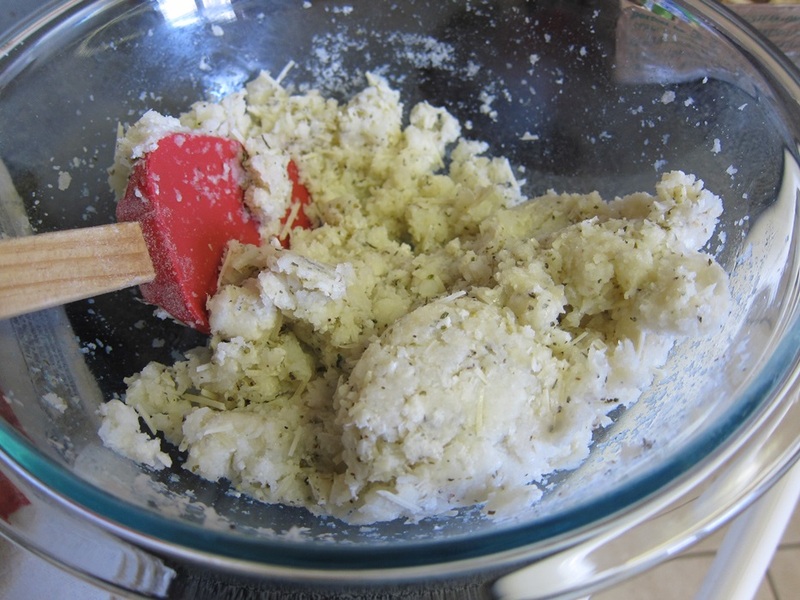 Scoop the mixture, spreading it evenly between the twelve cups and pressing down to compact the mixture in each. Bake 20-22 minutes, until golden brown. Let sit until cool, then remove from the liners. 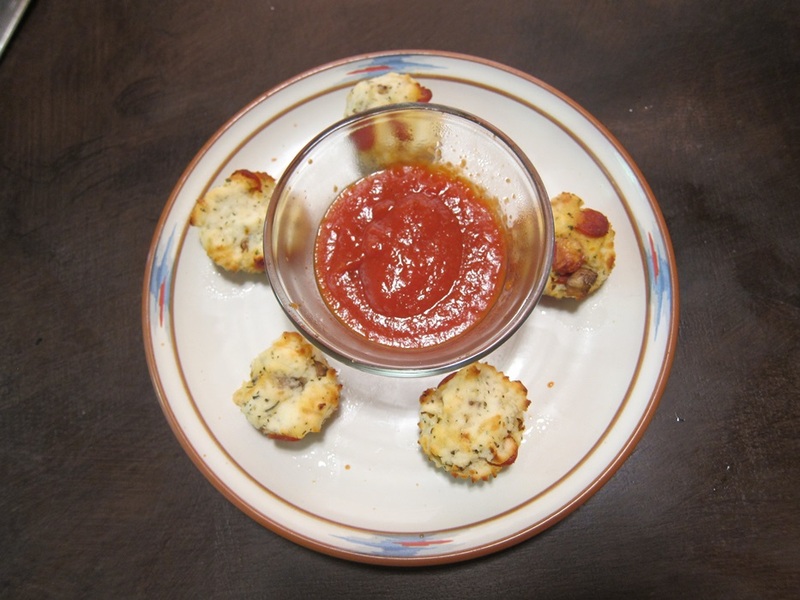 Serve warmed, with pizza sauce to dip in. 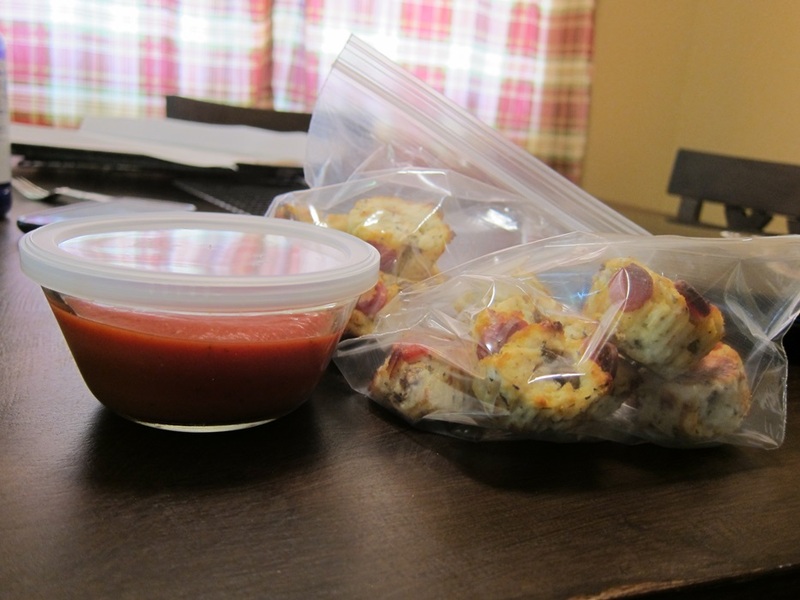 This entry was posted in Lunch and tagged easy lunches, Pizza, potato flakes. Bookmark the permalink.